It may seem a bit counter productive but your home’s roof actually needs to have air that can enter it. Proper roof ventilation is very important for your home and if your home is not properly ventilated it can cause all sorts of problems in the attic and roof area. In this article I’ll explain why it’s so important to have proper roof ventilation and what you can do if you suspect there is a problem with your home’s roof. If you’ve ever went into your attic and it felt really stuffy and the humidity was much higher than it should have been then you may need better roof ventilation. Roof ventilation provides a way for fresh air to enter the attic and help to cool the home and take away moist air that is built up in the attic. By not having proper roof ventilation you risk having a huge humidity problem occur in your home’s roof which can lead to wood rot or even mold growth in your home. Even when you have roof ventilation on your home and it’s not properly installed it can lead to the same problems. I’ll go over some details below on proper roof ventilation and why it’s so important for your home. These items not only help to reduce moisture in the attic and roof area but it can also save money on your home’s energy costs. Having better roof ventilation especially in the summer months can allow heat to escape the roof faster and more efficiently. This means your home’s HVAC system will not need to work as hard to keep the home cool. And less running of the HVAC system means a cheaper energy bill for you. All because of a few extra vents on your home’s roof. There are a few different types of roof ventilation but they all serve basically the same purpose which is to remove the air from the attic and allow cool air to enter the roof area. Forced air using fans is sometimes required for some roof although this is something that will need to be done by a roof professional since wiring and other components will need to be installed. A ventilation fan also means you’ll require power to help ventilate the roof which may actually increase your energy bill. If you’re unsure whether your home’s roof is properly ventilated or not it’s always best to get it checked. 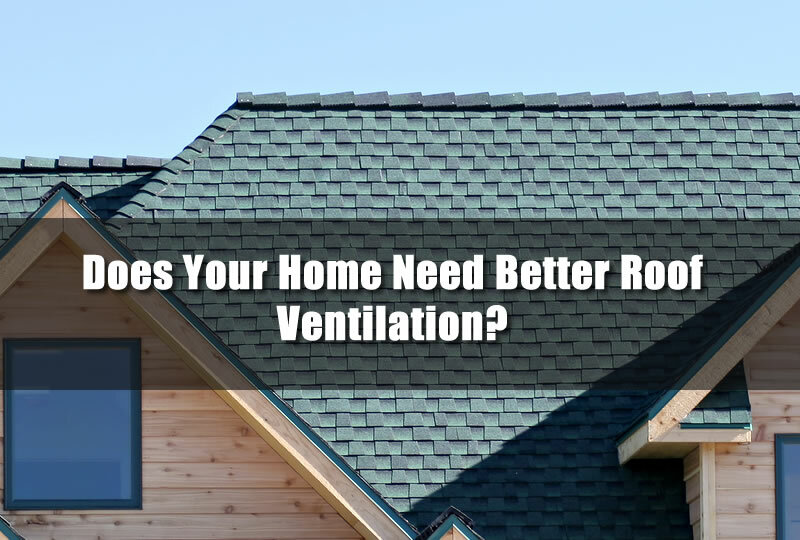 At Livingston Roof Pros we provide a roof inspection service that can help you determine if your home’s roof ventilation is done properly or not. Sometimes adding roof ventilation can help to cool the attic and remove some of the humidity and moisture which can help your home dramatically. It’s best to be sure your home is properly ventilated rather than wake up one day and there is mold growing in your attic that can be dangerous to you and your family. Don’t take chances with your home’s roof be sure to call Livingston Roof Pros today to get a roof inspection on your home’s roof. We are fully qualified and licensed to make sure your home’s roof is as it should be and performing well. Give us a call today to learn more about our roofing services or to set up an appointment.